Experts believe that all chicken eggs were once brown. It is thought that white eggs were created by cross-breeding chickens until the eggs became lighter and lighter in color. 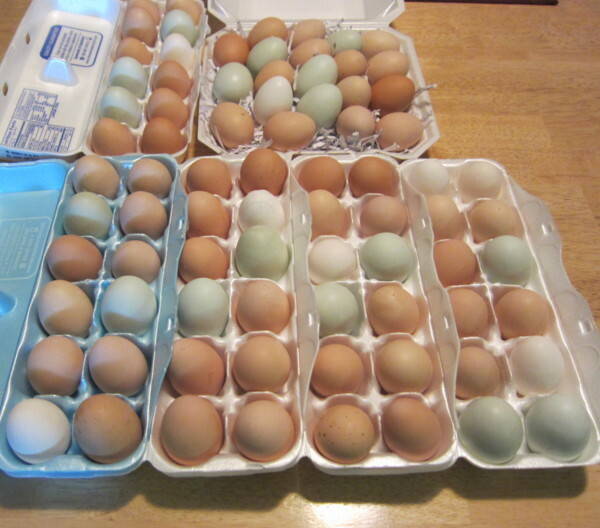 However, eggs do indeed come in a variety of colors depending on the breed of chicken. 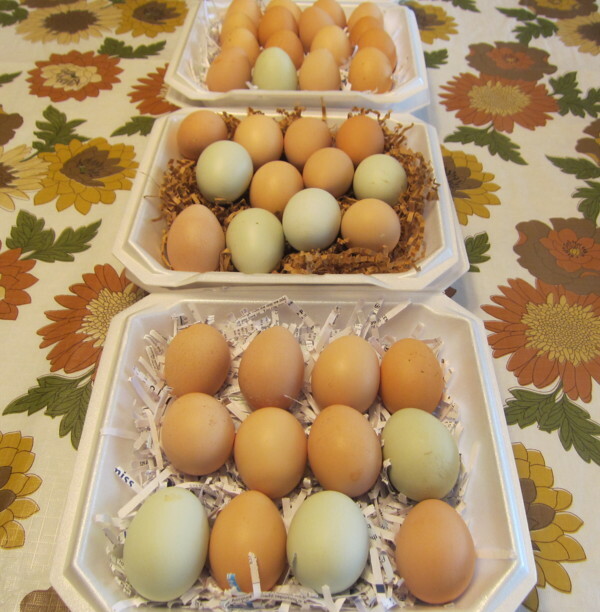 It’s easy to tell what color eggs a specific hen will lay by the color of her earlobes. White earlobes, white egg layer, reddish earlobes, brown eggs, simple as that! 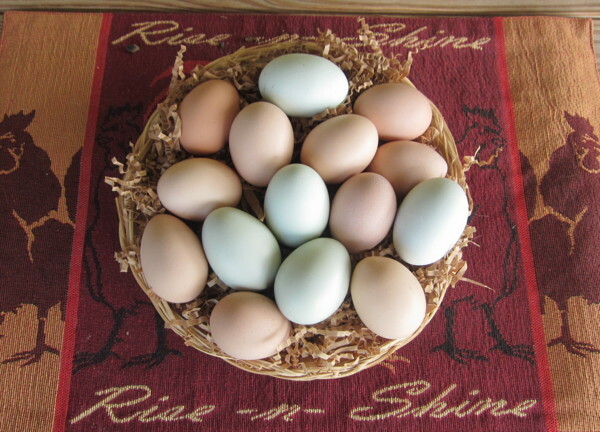 The Araucana/Ameraucana, also called the Easter Egger, lays a blue-green egg. The earlobes of the Araucana/Ameraucana are a grayish blue, same as their legs and feet. No matter what color the egg, the flavor is identical. 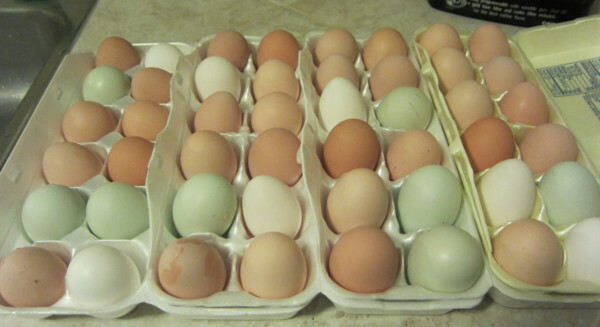 These beautiful eggs are all from my hens, as you can see the Ameraucanas produce the largest eggs. They are also without a doubt my most consistent layers. However, they are my least friendly birds, aloof is how they are best described. White shelf eggs at the grocery store come from Leghorns, they are the egg machines producing a whopping 280 eggs per year. 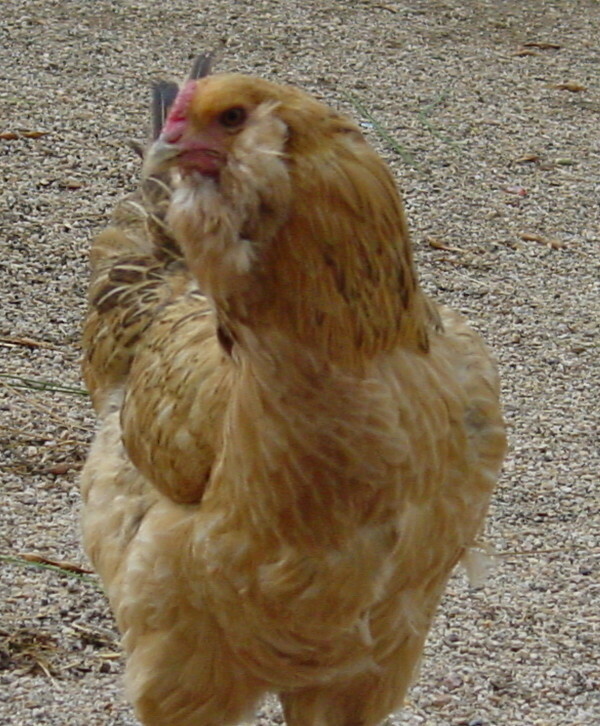 Today, the Single Comb White Leghorn is the most popular breed and is the best known of all the white egg breeds. Leghorn chickens have excellent disease resistance, lay at the highest rate and have the best feed to laying ratio of all chicken breeds. Leghorn pullets generally weigh about 4 lbs. at maturity, start laying at 4½ to 5 months, and will continue 10 to 12 weeks longer than most good layers. However, I’ve found them intolerant to the extreme heat here in Phoenix and have eliminated them from my flock. graet colors and great eggs are available here. interseting post.. informative article. Cake? Well then it will be the best ever! 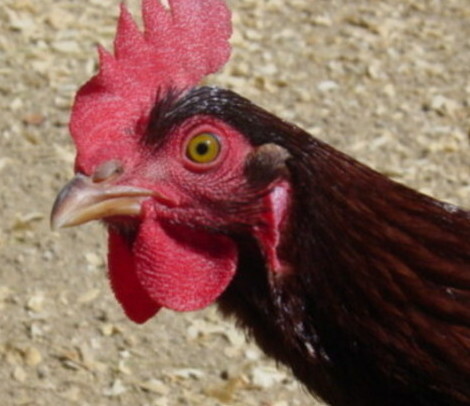 I didn’t know that chickens had earlobes…nice tidbit of info to file away. Seems chicken earlobes are the focus in this piece, funny! Now your probably sick of seeing them! I do indeed get carried away taking pictures of my eggs! I love the pictures of the multi-colored eggs. I also learned a few things I didn’t know. Thanks. Its good to learn something everyday, not sure chicken stuff will get many very far, but at least maybe it’s interesting. Nope! No teeth. Thanks for stopping by. Next Next post: Good Egg…or Bad?